Our beloved point-to-point wireless connectivity solution Bluetooth® is supporting mesh topology and I am very excited about it. Recently, Bluetooth Special Investors Group (SIG) announced that Bluetooth® technology now supports mesh networking. The new mesh capability enables many-to-many (m:m) device communications and is optimized for creating large-scale device networks. What is a mesh topology? 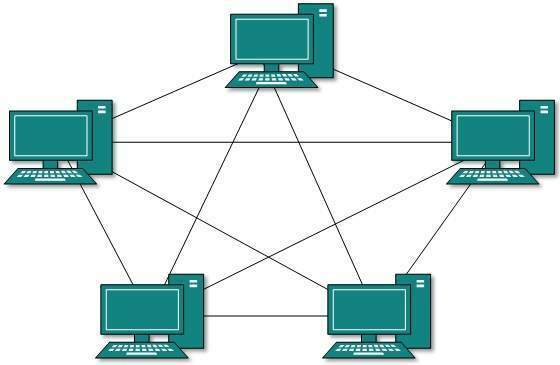 A network setup where each computer and network device is interconnected with one another, allowing for most transmissions to be distributed, even if one of the connections go down. It is a topology commonly used for wireless networks. Bluetooth is traditionally a typical point-to-point connectivity solution. By introducing Mesh, Bluetooth is changed to a true mesh networking topology. Mesh will allow users to reach beyond the personal area network. If you have a device within range of another device in a mesh network, you can extend the range of both devices. Now, keep adding more devices to the network and keep extending the range of the solution. The more important thing here is you don’t need any special controller or hub equipment. There is no single point of failure that will bring your whole house down. And you can run it all from your phone (or any other Bluetooth device, like a tablet or PC). If you did want to connect this to the web, you could do that as well. In fact, you’ll see plenty of gateways that will connect your Bluetooth mesh network to the larger web outside of your house if that is something you want to do. Consider the following scenario where your home is an interconnected Bluetooth mesh. You come home and unlock the door. The door can then send a message to the lights in your entry way to turn on, turn your AC to a nice 22 degree Celsius, and start playing the music you really like. These things are called ‘scenes’ in Bluetooth mesh parlance, and they will start to make a home truly smart. Because each of these will be adopted Bluetooth standard. Devices supporting Bluetooth mesh will work together regardless of which vendor has built it. That is awesome news for IoT enablement. Multi-vendor inter-operabilty is probably the biggest thing lacking in IoT and one of the main reasons stopping it from becoming a common global phenomenon. Bluetooth mesh can solve this. You’ll have choices about what vendors you want to use. Also, since it’s the familiar Bluetooth technology that consumers are used to, you can do it yourself…you won’t need a professional installer to set up your smart home! -Russ Sharer, VP Global Marketing and Business Development, Fulham. For more information, visit bluetooth.com/mesh.